The American Heart Association (AHA) Family & Friends CPR course is for people who want to learn CPR but do not need a CPR course completion card for their job. This course is ideal for schools and students, new parents, grandparents, babysitters and others interested in learning how to save a life. Skills are taught in a group environment and is video-driven. The training uses AHA’s research-proven practice-while-watching technique, which provides students with the most hands-on CPR practice time possible. If you are a healthcare professional or in medical/dental/nursing school, please take the BLS for Healthcare Providers course. 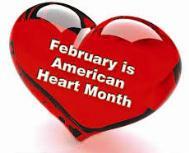 If you are required to have a CPR or First Aid certification card for your employment, please take a Heartsaver course. Relief of choking in an adult, child or infant. The Family & Friends CPR course teaches the lifesaving skills of adult Hands-Only adult CPR. It also teaches child CPR with breaths, adult and child Automated External Defibrillator (AED) use, infant CPR. Skills to relieve choking in an adult, child or infant are taught. 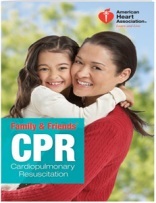 Family & Friends CPR is for people who want to learn CPR but do not need a course completion card in CPR for their job. This course is ideal for schools and students (over age 12), new parents, grandparents, babysitters and others interested in learning how to save a life. Generally, $10 per participant. Designed for large-scale community training events, Family & Friends® programs will help you increase bystander action in emergency situations — and the number of people who survive sudden cardiac emergencies! Every year since 2014, for American Heart Month (February), we’ve taught dozens of FREE Family & Friends CPR courses, and all over the area – Fayetteville, Carrollton, Newnan, Whitesburg, Peachtree City, Senoia, Fairburn, Villa Rica, Douglasville, Waco, Atlanta, Sharpsburg, East Point, Grantville, LaGrange, Tyrone, College Park, Jonesboro, and Union City. Union City Thu. 2/23/2017 Etris Community Ctr.